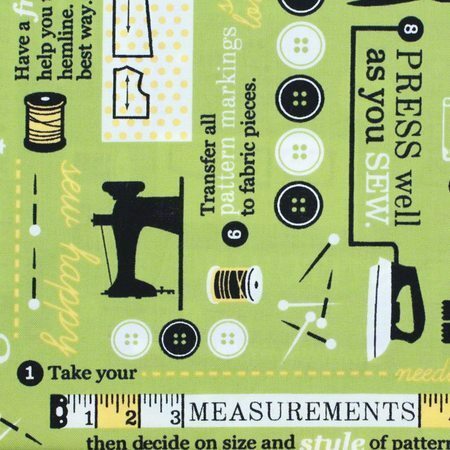 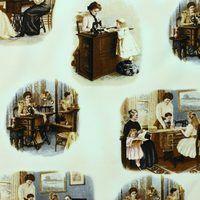 Designed by Cynthia Fenette, this sewing themed fabric features a collage of notions on a 70's green background. 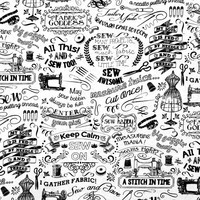 Inbetween the thread spools, scissors, pins, and buttons are sewing tips and bits of instructions. 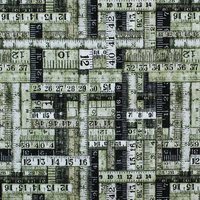 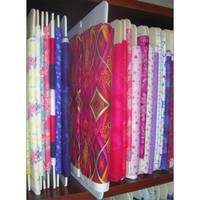 Use this eye-catching print for your next sewing themed project.